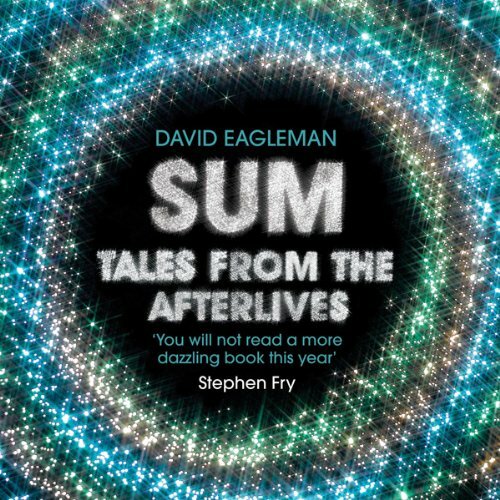 Two stories from SUM: Tales from the Afterlives by David Eagleman. In 'Perpetuity', read by Stephen Fry, you learn that only sinners enjoy life after death. In 'Blueprints', read by Emily Blunt, we are granted the ultimate gift of revelation: an opportunity to view the underlying code. In SUM, David Eagleman entertains 40 fictional possibilities of life beyond death. With wit and humanity, he asks the key questions about existence, hope, technology and love. These stories are full of big ideas and bold imagination. This release is one of 20 pairings of readings from the audiobook, which assembles a stellar cast of narrators who bring the scenarios of SUM brilliantly alive: Gillian Anderson, Emily Blunt, Nick Cave, Jarvis Cocker, Jack Davenport, Lisa Dwan, David Eagleman, Noel Fielding, Kerry Fox, Stephen Fry, Clarke Peters, Lemn Sissay and Harriet Walter.